THE CULINARY EXPERT’S CHOICE. When you’re searching for a premium-quality sharpening tool, you need not look further. Forget all others. 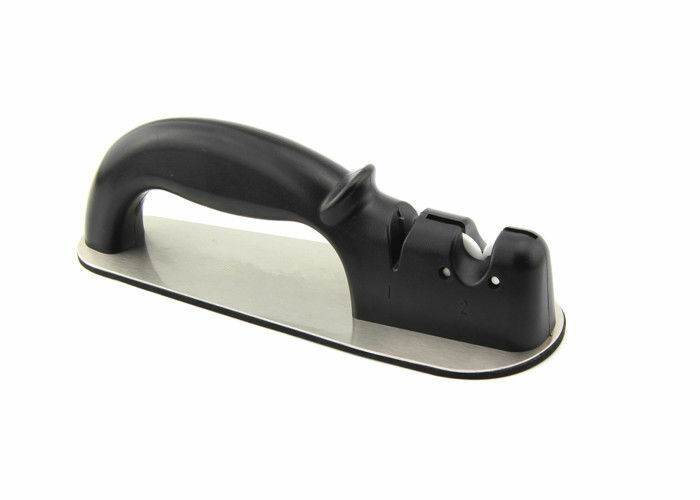 This product is one of the best sharpeners available that you can have in your kitchen today. Professional chefs and culinary experts love it! PATENTED DESIGN WITH YOUR COMFORT, SAFETY, AND CONVENIENCE IN MIND. It features an ergonomic design. This product provides a comfortable grip so there’s no fear of slipping it off your hand and cause injuries. 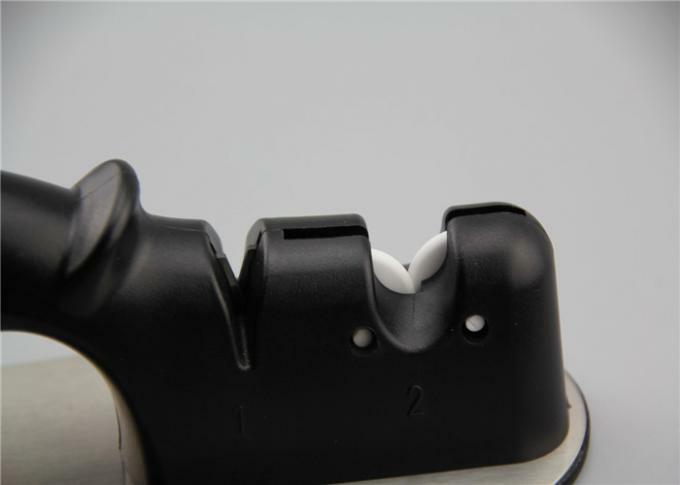 It also has a non-slip cushioned base so it won’t slide while you hold it down as you sharpen the blades. It’s safe and easy to use! SHARPENS DULL KNIVES FASTER AND MORE EFFECTIVELY. This fantastic product features a two-stage sharpening system. 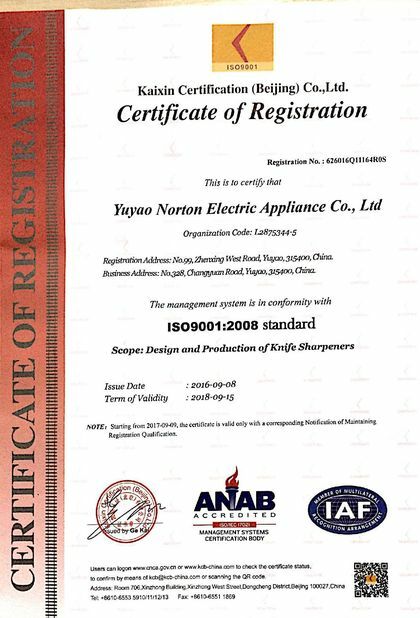 There are two slots provided, allowing sharpening of “hard” steel blades in the one marked as Coarse and “softer” steel in the other marked as Fine. It’s sharpening made quick and easy! RESTORE DULL BLADES TO RAZOR-SHARPNESS. Blunt, nearly useless blades can be restored back to its useful life. 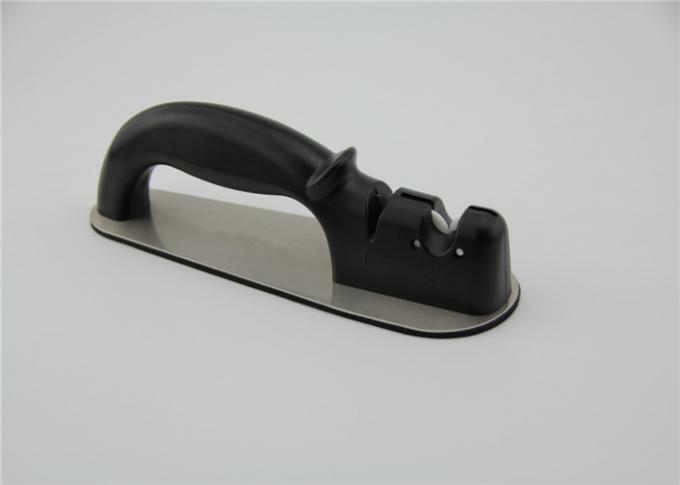 With its proven performance, this product is among the top kitchen sharpening tools available today! Did you know that many accidents that happen in the kitchen are a result of dull, blunt knives? Using too much force to prepare food can make you lose control of your knife and results in cuts. A sharp knife gives you greater control and provides a safer cooking environment and also makes preparing meals quicker and easier! Experience new sharpness to your blades that you may never have thought possible. 1.For the record, this sharpener can not suit for serrated knife and scissors. 3. Do not put the sharpener into the dishwasher or water,please keep it dry and clean.